This Nemmers Prize is awarded for achievement and work of lasting significance in the field of medical science. In particular, the prize recognizes major contributions to new knowledge or the development of significant new modes of analysis. The prize is currently $200,000. Recipients are selected every two years and speak at a conference held at Northwestern University. For his influential work on blood disorders. Dr. Stuart Orkin is the David G. Nathan Distinguished Professor of Pediatrics at Harvard Medical School. 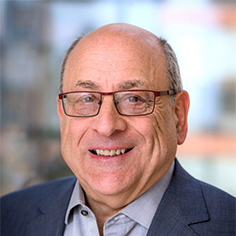 Dr. Orkin has devoted his career to illuminating the development and function of the blood system, the control of stem cells and the molecular basis of inherited blood disorders. Orkin’s research has led to a number of discoveries that have significantly advanced the field of hematology, the study of blood. Early in his career, Orkin discovered mutations responsible for beta-thalassemia, an inherited blood disorder that reduces the production of hemoglobin. The research, published in Nature, provided a foundation for better diagnosis and treatment of the disease. In addition, Orkin and his collaborators were the first to use the laboratory technique of positional cloning to identify a gene for a human disease. Orkin has also had a transformative impact on the understanding of normal blood cell development (hematopoiesis). He identified the master transcriptional regulator of the process, called GATA-1, as well as many other transcription factors critical for blood cell development. More recently, in research published in Science and Nature, Orkin’s laboratory characterized the molecular switch from fetal to adult hemoglobin, solving a long-held problem in the field. The team identified the BCL11A gene as a major regulator of fetal hemoglobin levels, and demonstrated the potential of targeting the gene for the treatment for sickle cell anemia and beta-thalassemia. Orkin, a member of the National Academy of Medicine (formerly the Institute of Medicine), the National Academy of Sciences, the American Academy of Arts & Sciences, and the American Philosophical Society and more, has authored more than 450 peer-reviewed publications spanning the fields of hematology, human genetics and stem cell biology.